Hi everyone. I don’t know how to start my story, well some months ago I found out that I’m HIV infected and this was very strange to me. I would like to explain from the beginning for those that think that this disease is not just because people are gay or are drug users. I’m 59 years old, I’m married and I’m heterosexual. There are a lot of people that can be exposed to this thing. Any way wouldn’t explain the entire story about how this happened because it’s a little bit annoying. 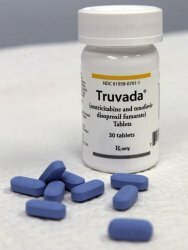 I would like to make a review about the truvada. My doctor prescribed it to me some months ago and I still hope that it will have a good effect on me. I did a lot of blood tests and my doctor asks me to do this every week. The first month of administration was very difficult. I started to have since the beginning some side effects such as nausea and weakness. At the end of the first month of administration it becomes worse. Anyway I hope that after some months I’ll feel myself better. Thanks God to those that invented this kind of drugs and that think about saving other lives. I was diagnosed with HIV one year and few months ago (even though I supposed that I might be infected for a longer time). 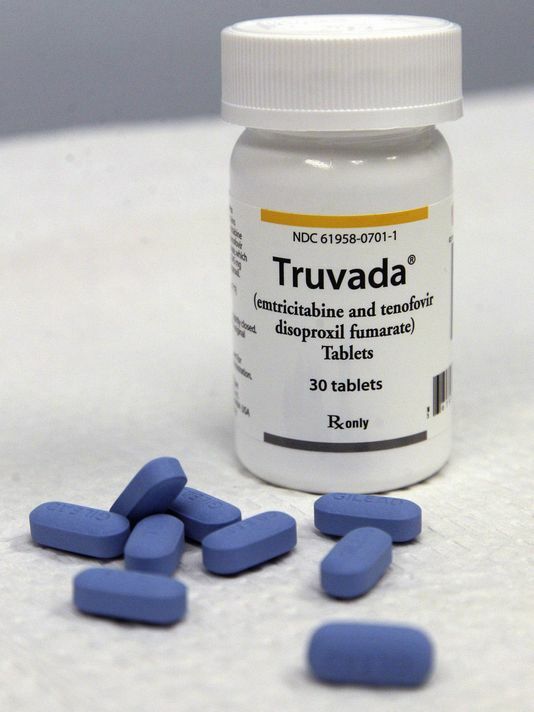 Truvada was the first medication given to me for this condition and few days (or weeks – I don’t remember) later I have been told to take it along with norvir and prezista. My virus load was up to 170.000 but in a little less than 11 months it was undetectable. I’m taking the combination of these three medications for one year and a month now and I’m still on them as I don’t really know what would happen if I stop taking them. I’m feeling fine and I felt this way for months now. in general I’m feeling great besides one thing, one side effects. I’m still not sure if this side effect is due to this drug but I really doubt about it. I have some insomnia but I think that truvada has nothing to do with it, I guess that other factors are responsible for this. also, I guess that it won’t be fair if I would complain about this side effect (and not even knowing for sure that this is from truvada) when I have so great results and I’m feeling so good. I’ve read other reviews and I’ve seen many people complaining about other possible side effects with HIV meds much worse than I have. I think that i’m a truly lucky man. Hello there. I was detected with HIV virus load in my blood so the doctor prescribed me this drug along with raltegravir. I have been on these two drugs for about 5 years now and it seems pretty good but it has some side effects and I would say some strange effects too. Initially I gained about 90 lbs (plus or minus) in the first half a year approximately but I also had severe nausea feelings and a serious problem vomiting. Later my weight gain stopped because I have lost most of my appetite I once had but I’m still getting some nausea. Even though I’m feeling nauseous very easily it is still a trouble. Doctors also tried medical marijuana on me and it has helped me very much but hasn’t stopped it 100%. Those weird effects I mentioned in the beginning of my post is my strange weight gain. I gained weight under my arms and my upper arms, on my stomach and upper back and that’s it. It was very noticeable under my arms. Even though my virus load is lowered I’m still not sure if it’s worth it. It passed so much time but I still have this problem but in the beginning I thought that by this time I’m going to feel much better. Oh yeah, I almost forgot. Besides those mentioned side effects, I also have some very realistic and very vivid dreams. Sincerely, they are kind of interesting and enjoyable but they are really disconcerting me. You may try this drug but I’m not sure if it will work very good. I was infected of HIV few years ago and got diagnosed less than a year ago. I was having serious problems with loss of appetite and vomiting. I started to develop anxiety. HIV was ruining my life and I thought there is no end to this. My doctor mentioned Truvada. Thanks God! I have been on this med for a little more than 6 months and I’m feeling all better in any possible way! It helped me to gain weight back again and made my anxiety go away! Few weeks ago went for another HIV test. Results came out great! Viral load was undetectable since I started my treatment with Truvada. I’m finally feeling fine again which I thought one day that it is never going to happen. Side effects are unnoticed so far. I am very thankful to those scientists and doctors who created this thing that can help combat this disease! Great medicine, thanks! I recommend it for everyone with HIV infection! Hope this helps somebody.